How can I tell which Tech ran a Credit Card Transaction through PayFlow? 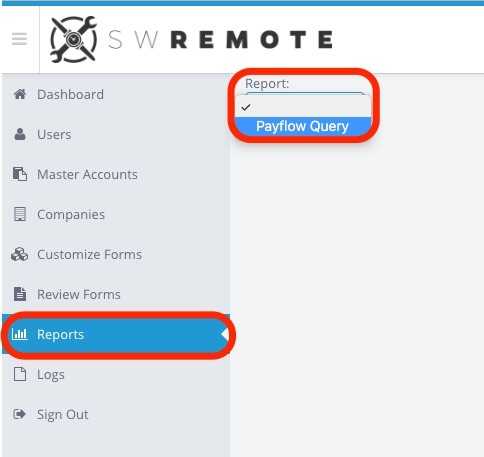 If you are a Payflow user and you are wondering which Tech ran a particular Transaction, you can find this out using the SWRemote Admin site. Click on Reports on the left-hand side. 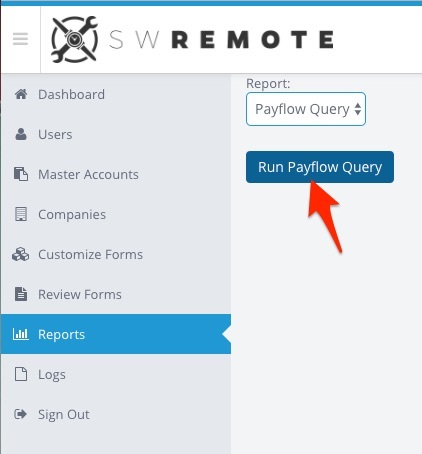 Press the Run Payflow Query button. The results may take a few seconds to load. Now that the results have loaded, click the AddDateTime column, and this will show you the date/time starting with the most current transaction. 6. From here you can match up date/time to amount and Technician and or Device.